Gardening is a great way to supplement your food storage. In a post-TEOTWAWKI world, though, there’s the possible problem that your neighbors or other people may see it. That could pose a real danger. Hidden gardens are the solution. 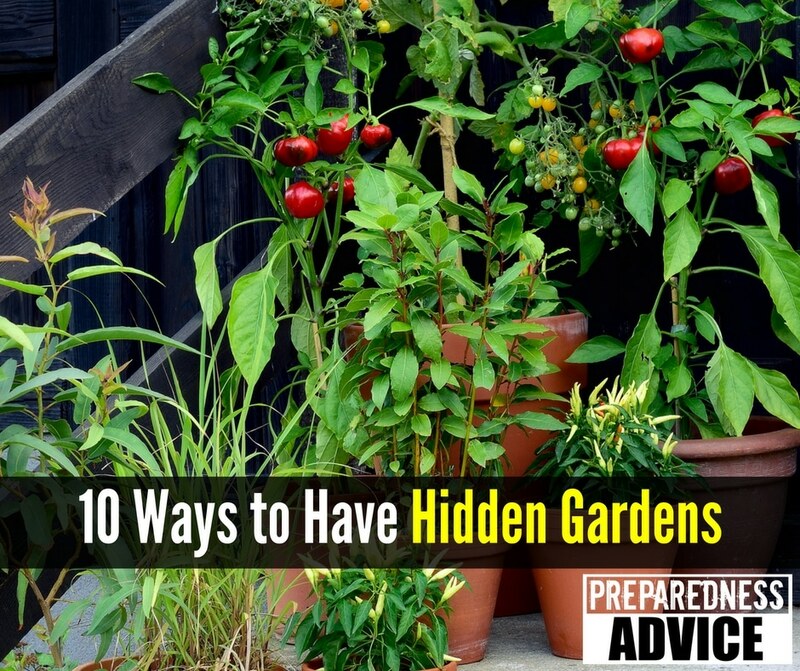 Gardens are not as hard to hide as you may think, and if you’re wondering how that could be possible, the author of this book spells out in detail how anyone can grow their own hidden garden. One easy advantage that we all have is that in today’s world, most people have no idea what many edible plants look like. The first idea that most people come up with is to hide their garden behind a tall fence and a locked gate. This is not a bad idea, but a fence can attract the curious and they can be expensive. Instead, there are a number of other ways to establish hidden gardens. Look for unusual plants that most people won’t recognize as edible. 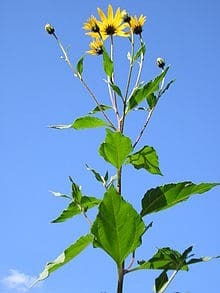 The Jerusalem Artichoke is one such plant, and it’s healthy and versatile as well. Instead of planting everything in one place plant them in small bunches around your yard. It will be harder to identify a “garden” if the plants aren’t growing in neat rows or in boxes. Allow weeds to grow up and help hide the plants. Don’t plant your garden in rows. Plants in nature don’t grow in rows. Vary the heights of the plants; make your garden look wild and unattended. Large leaved vegetable plants like squash, pumpkin and gourds can hide small plants like greens, beets, turnips, kohlrabi, and carrots. Dill, mints and sage will all grow tall and thick providing visible cover for shorter plants. Perennials only have to be planted once and they will produce food for years. One idea is to make your garden look wild. You can grow many different wild edible plants and mix common garden plants in amongst them. Plant berries or other plants around the perimeter to help discourage people from being too inquisitive. Make the garden look untended, no paths or rows. A second idea is to make it look like a flower garden using beautiful edible flowers that most people won’t recognize. Learn about native edible plants and include them in your landscape. Most people don’t realize that acorns are very suitable for human consumption or that mesquite pods can be ground into a delicious flour. Plant a variety of root vegetables, since most people won’t recognize the leaves and will never know that potatoes, beets, parsnips, or turnips are growing under their feet. It is amazing the number of edible plants that you can have in your yard and not even be aware of. Take some time to find out what you already have growing and then supplement it with others. Take advantage of the knowledge included in this book, too. It is all free food. This entry was posted in food storage, gardening and tagged acorns, food storage, foraging, garden, mesquite, vegetables. Bookmark the permalink.